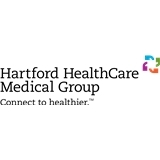 Hartford HealthCare Medical Group-PrimCare, Storrs (Storrs) - Book Appointment Online! I like Jill Fuller, she listens and is genuinely concern about my well being, I will recommend her as a Primary. Jill is awesome!